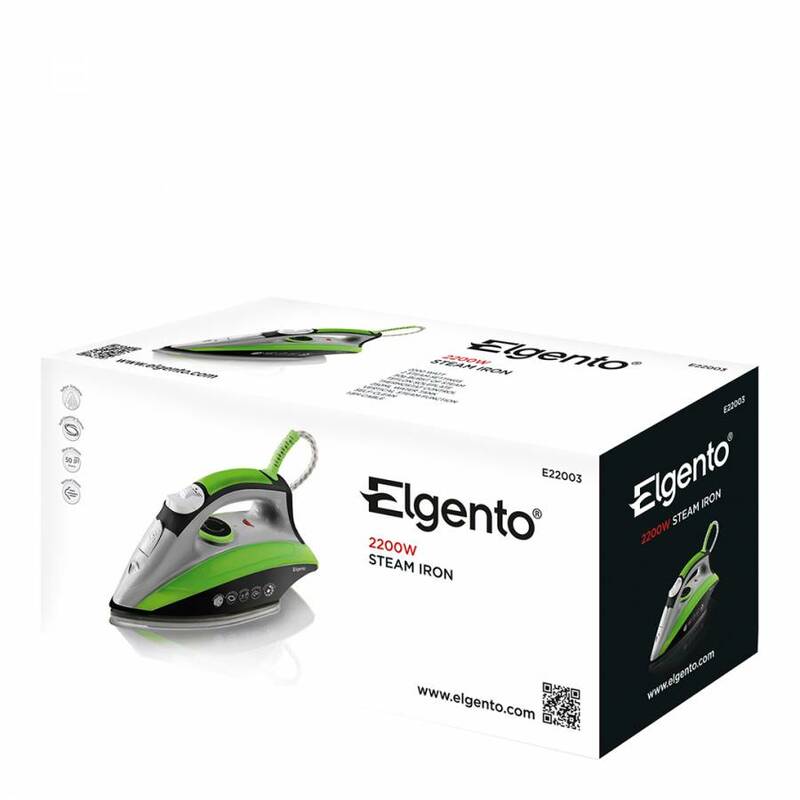 Taking the hassle out of tackling the ironing pile, the 2200W Steam Iron from Elgento, makes laundry day a breeze. 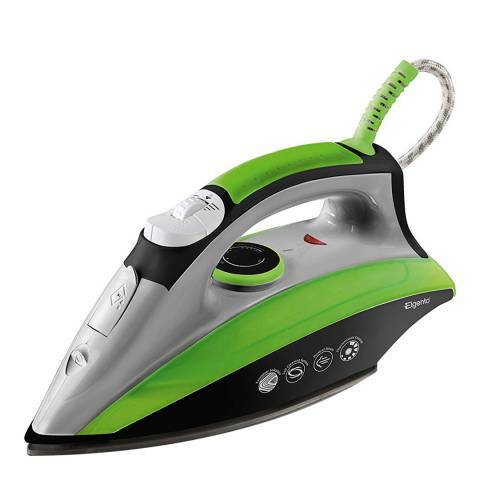 With thermostatic control, the irons nonstick soleplate glides over fabrics with ease, ironing out creases in cottons, linens and even silks with the steam shot function giving you a perfectly smooth finish every time. The iron comes with an integrated spray nozzle for that extra pressing power, keeping your clothes in tip top condition; while the 1.8 meter cord gives you ease of movement for larger items such as bed linen.